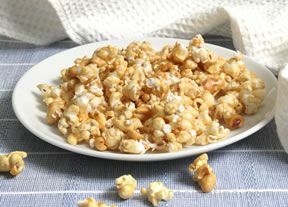 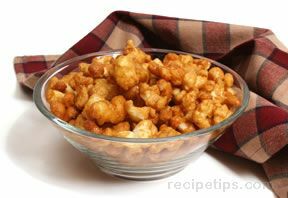 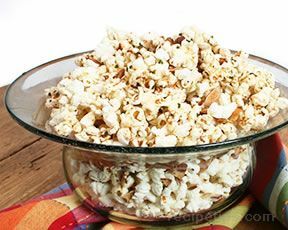 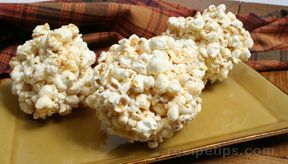 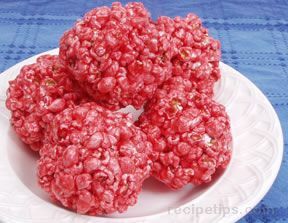 Create a sweet and sticky snack with this caramel coated popcorn. 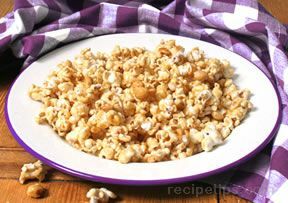 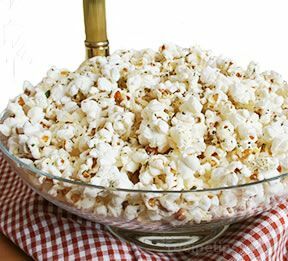 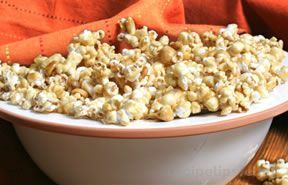 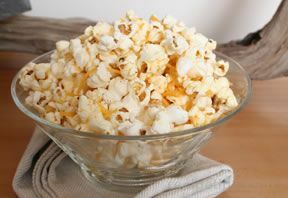 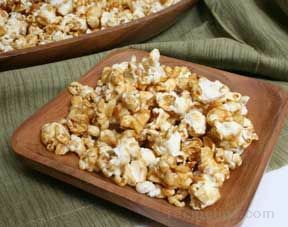 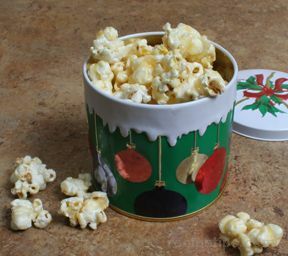 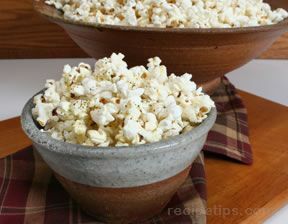 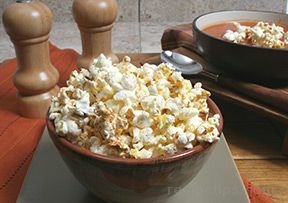 Brown sugar, butter and syrup create the perfect coating to the popcorn. 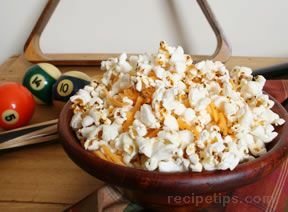 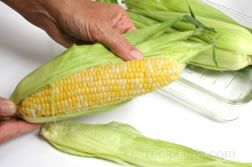 In a saucepan, cook the butter, brown sugar, corn syrup, soda, and vanilla until mixture boils. 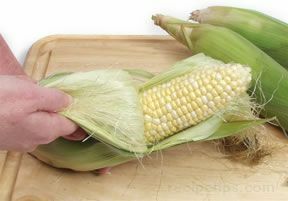 Cook 5 minutes more. 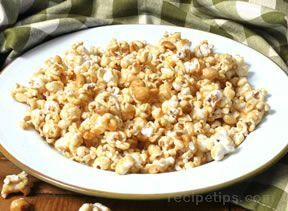 Put popcorn and nuts, if desired in a large roaster pan. 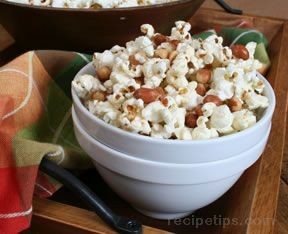 Pour mixture over popcorn and mix well. 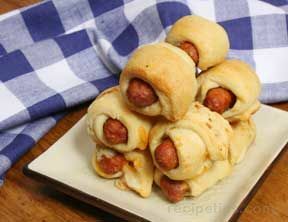 Bake 1 hour at 250°, stirring every 20 minutes. 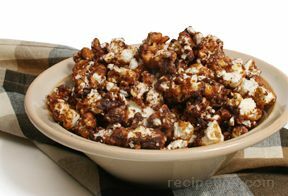 "This was really good carmel popcorn. 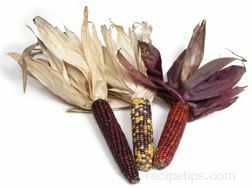 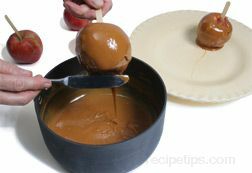 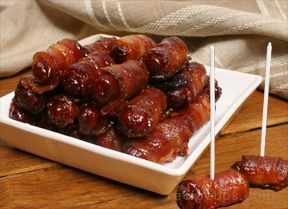 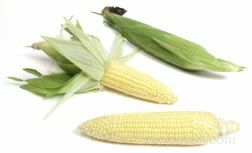 Wasn't overly coated and sticky and you didn't have to use a candy thermometer, which was the best part."